It’s not easy to find ways to make traditional ethnic arts accessible. A weaver, embroiderer or painter might be able to produce one or two fine pieces each year. Our cards enable traditional ethnic motifs and techniques to be produced in miniature. Many artisans can participate in their production. Many customers can afford to buy them. One of the surprises in starting Crossroads Trade was discovering the breadth and quality of art cards around the world. They are created in all sorts of media - corn fiber, mulberry bark, banana leaves, bodhi leaves and cloth, among them. The artisans stamp, clip, embroider, batik, weave, press and paint. The cards become more environmentally friendly each year. Several are made of lokta root. The artisans cut off just what they need, leaving the remainder to regenerate. Others are saa paper, made from the bark of a tree that sheds its bark every year. 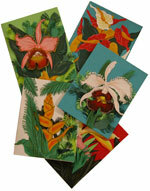 Many cards are made from cotton rag pulp. Cards made with plant-based, non-toxic dyes are now readily available. Our cards come from many lands. Among them are paper cuts from Peru, embroidered cloth from Bolivia, Gaza and Cambodia, painted bodhi leaves from India, saa collages from Thailand, and First Nations and Inuit cards of Canada. Our sources are varied. 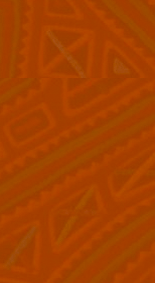 We purchase directly from cooperatives in Bolivia and Ecuador. We buy from economic development projects employing the deaf in Gaza, street kids in India and landmine survivors in Cambodia. We also buy from individual artisans and fair trade wholesalers. Many customers who purchase these cards intend to frame them, or send them with a special message to someone who will. The cards on the Crossroads Trade website are only a few of the hundreds of images in the store. If you're in the Boston area, please come by to take a look. If you're not nearby and would like to see more of the images, please send an e-mail.